Relief is depicted in this drawing by short lines ('hachures') rendered in blue-grey watercolour. The boundary between cartography and landscape painting is bridged somewhat in drawings such as this. 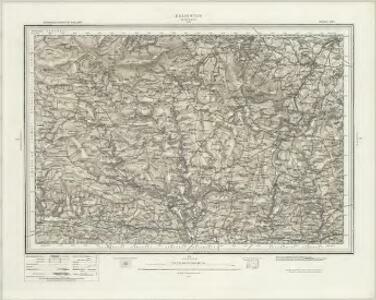 Many of the drawing instructors for the Ordnance Survey were accomplished artists. Main communication routes are coloured yellow and marked at intervals of one mile.